<!-Eric Gill. 1882-1940--> Eric Gill. 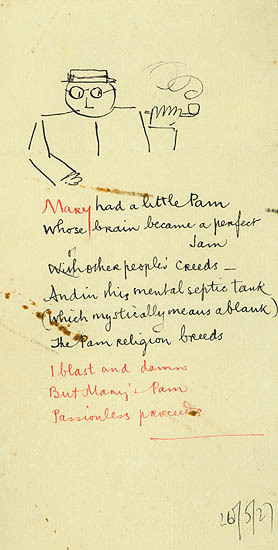 Poem and cartoon:..
whose brains became a perfect Jam. Unsigned. Dated 26/5/27 in ink. Original poem, not previously published. $1,250.